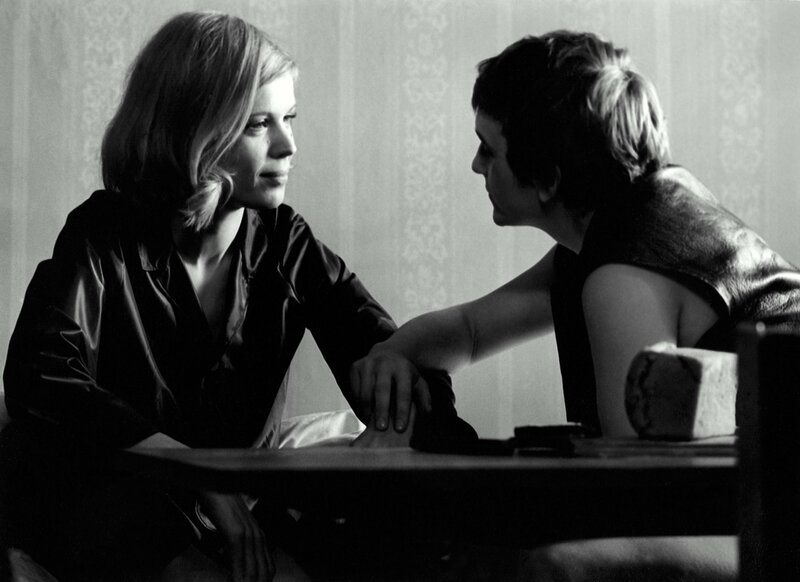 Feminist filmmakers often refuse to "undisputedly accept patterns of conventional cinema." (Fischetti) In this seminar, exemplary films will be discussed (on the basis of film excerpts) with regard to their dramaturgy and to their narrative aesthetics. In doing so, we’ll pursue the question through which other forms of narration and dramaturgy those filmmakers managed to translate their critical content, their worldview and to open up new ways of perception through film narratives: metaphorical and allegorical narrative, open and epic dramaturgy, music-oriented dramaturgy, a strong visual dramaturgy - the filmmakers use the diverse dramaturgical possibilities to develop a feminist aesthetic, to practice criticism of social conditions, or to design utopias of another world. Iris Gusner DIE TAUBE AUF DEM DACH (1971); Ula Stöckl NEUN LEBEN HAT DIE KATZE (1968); Marianne Rosenbaum PEPPERMINT FRIEDEN (1983); Erika Runge WARUM IST FRAU B. GLÜCKLICH? (1968); Elfie Mikesch ICH DENKE OFT AN HAWAII (1977/78); Ulrike Ottinger BILDNIS EINER TRINKERIN (1979) u.a. Christine Lang, author, dramaturge, filmmaker. Studied Cultural Studies, Art History, Literary Studies at the Humboldt University Berlin as well as film and television at the Academy of Media Arts Cologne. Publications on dramaturgy and film aesthetics, i.a. "Breaking Down Breaking Bad: Dramaturgy and Aesthetics of a Television Series" (with Christoph Dreher), Fink 2013. As author and editor (with Kerstin Stutterheim) "Come and play with us: Dramaturgy and Aesthetics in Postmodern Cinema", Schüren 2013. As author and dramaturge she collaborated with Volker Lösch: 2014 Schauspielhaus Düsseldorf, 2018 Schauspiel Essen ("The Prince and the Beggar Boy - and the CAPITAL"), 2019 Schauspielhaus Bonn (House of the living dead: Women, Theater, Power. Her film “As if we were somebody else” premiered in 2015 on the International Hofer Filmtage; the feature film “Kalte Probe”, which was realized together with Constanze Ruhm, was shown at the Berlinale (Forum Expanded) 2013. She teaches at the Filmuniversität Babelsberg KONRAD WOLF in the field of dramaturgy and media aesthetics since 2009. Further teaching activities: University of Music and Theater Mendelssohn Bartholdy Leipzig, UDK Berlin u.v.a.